Do you know what makes having friends over for a little get-together even better? Having a proper serving station to entertain them with! 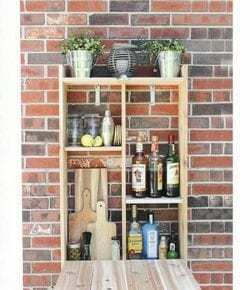 Serve and enjoy delicious drinks and snacks with your friends by building your own outdoor serving station! Now there are plenty of project ideas out there that anyone can definitely do for improving their outdoor space. We’ve collected the best ones we know for you below. Big or small backyard, any of these projects will surely suit your space. It’s all just a matter of personal taste! 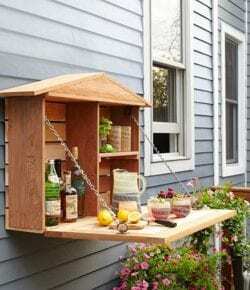 Got your own version of a DIY outdoor serving station that you are proud of? Why not tell everyone about it through the comments section? Or better yet, send us an e-mail so we can feature your project here at OBN! Next PostBuild your own beautiful greenhouse using old windows! Unwind in your yard with a DIY wood porch swing with cup holders!